On 15 September 1988, the name “Rajamangala Institute of Technology” (RIT) was awarded by His Majesty King Bhumibol Adulyadej (Rama IX). On 8 January 2005, the old Technical and Vocational Education Act (1975) was superseded by the Rajamangala University of Technology Act, which restructured all RIT campuses into 9 groups. RMUTT is one of the nine groups. 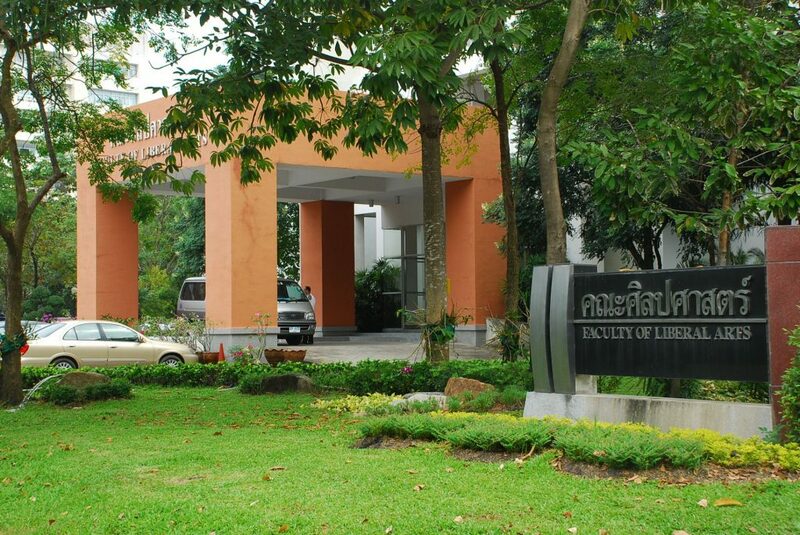 In 1991, the Faculty of Liberal Arts moved to its current location at Tambon Klong 6, Amphoe Thanyaburi. Pathumthani Province. The faculty provided general education courses from the beginning, and later in 1996, it started to offer Bachelor of Arts degree programs-Tourism (1996). Hospitality (1997), and English for Communication (1998). The Faculty of Liberal Arts comprises six General Education disciplines or departments: Social Sciences, Humanities, Western Languages, Eastern Languages, and Physical Education and Recreation. Upon graduation, graduates may pursue careers as an entrepreneur in the tourism industry, government official, tour operator in tour companies, as an entrepreneur or employee in the hospitality industry, or as a government official in both the public and private sectors. In addition, graduates may pursue careers as an interpreter, receptionist, public relations coordinator, or other careers related to using English to communicate with others.